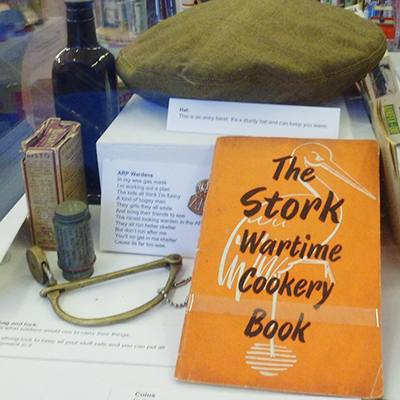 In addition to the opening times below, Queensferry Museum is also closed 1pm-2.15pm each day for lunch. 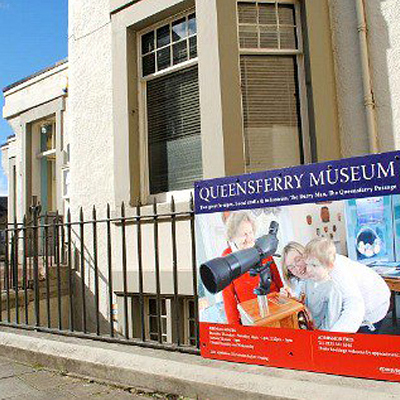 Queensferry Museum is located on the main street of Queensferry. Lothian buses 43 and 63 both have stops on the west end of the High Street, a 5 minute walk from the museum. Dalmeny train station serves Queensferry, with regular trains to and from Edinburgh Waverley, and is a 15 minute walk away. There are parking spaces through Queensferry, with disabled spaces a few metres away from the museum. The museum is located on the first floor of the building and is accessible only by stairs. There is no café at the Museum, but the High Street has a range of cafés, restaurants and pubs, some of which have wonderful waterfront views. 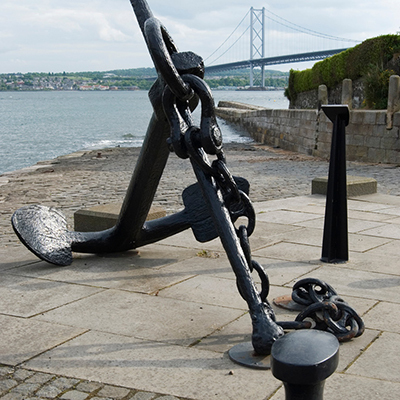 A highlight of any visit to Queensferry Museum is taking in the views out onto the Firth of Forth. Complimenting the views of the rail bridge are displays on the engineering and construction of the bridge. A remarkable feat of human endeavour, objects from our collections tell the story of the bridge and what it was like to work on it. 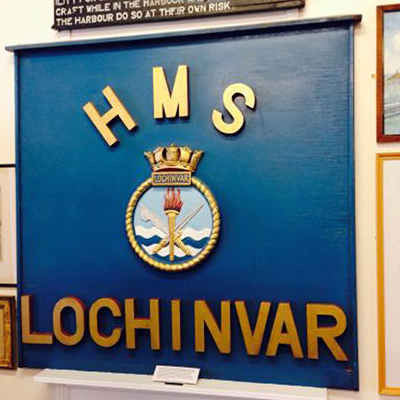 Queensferry’s civic history is proudly displayed alongside the engineering exhibitions. 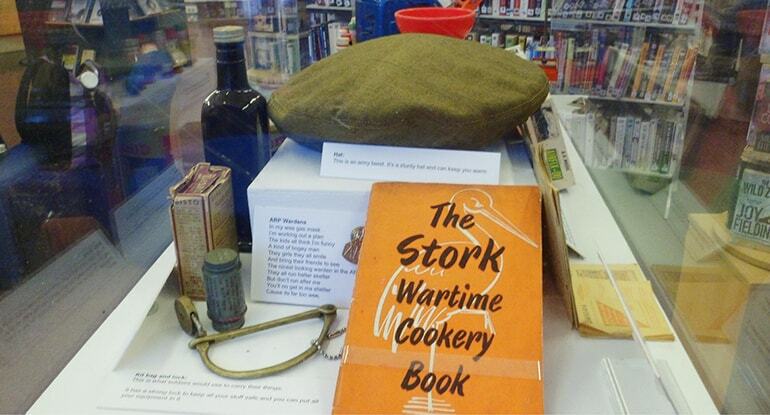 Objects and photos showing past shopping and daily life can be seen, as well as some of the local traditions particular to the Ferry. 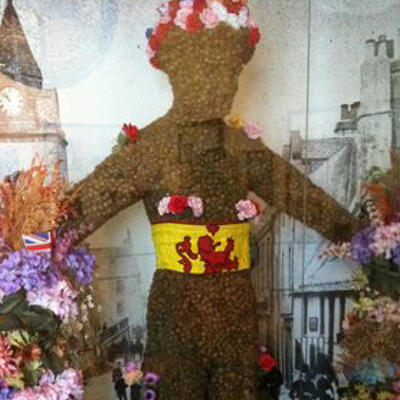 Every August the Ferry Fair takes place, wherein the Burryman parades through Queensferry, with a crown of flowers and a body covered in burrs, the spiky seed cases of the burdock plant. We have a Burryman of our own in the museum (named Frank), an example of an historic tradition still proudly celebrated by the Ferry folk and not seen anywhere else. Changing exhibitions, curated by community groups, in the Provost’s Room ensures that there is regularly something new to see. These exhibitions bring extra objects from the museum collections into focus and tell stories important to the community. 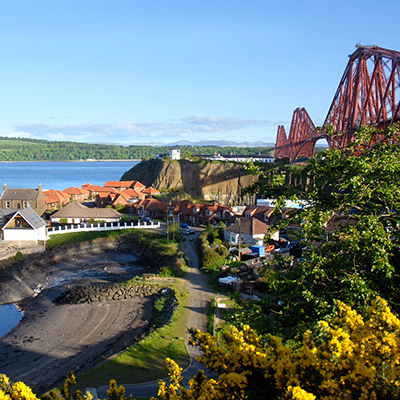 Download our comprehensive access guide to find out how you can get to and around the Queensferry Museum.